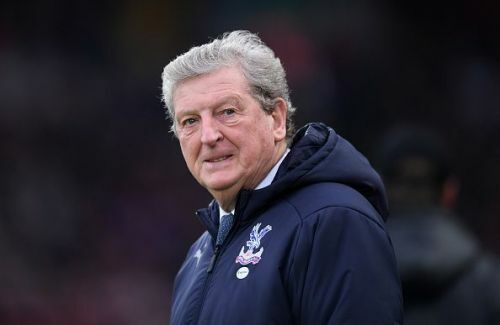 The competition is heating up in the FA Cup with cross-city rivals Crystal Palace and Tottenham Hotspur playing each other in the fourth round at Selhurst Park on Sunday. Both the Premier League teams have a lot to gain and would look to go all-out in this competition. Tottenham, wounded by Thursday's excruciating penalty shootout loss to Chelsea in the semifinal of the League Cup (now rebranded as the Carabao Cup) will be itching to get a win under their belt. This FA Cup tie provides Crystal Palace, also known as the Eagles, to try out some of the new faces in their squad. They have positioned themselves well in the Premier League table, and with no fear of relegation, will be hoping to give some game time to the non-regulars in their first team. Manager Roy Hodgson is most likely to give talisman Wilfried Zaha a break, or perhaps bring him on later. Tottenham, who have been left ruing the loss of players due to injury, will be seething after their semifinal loss to Chelsea in the Carabao Cup. They will be looking to go all-out and demolish Crystal Palace's experienced defence. Manager Mauricio Pochettino was rescued by youngster Harry Winks' late goal in the Premier League last week against Fulham but will be hoping to not take this game that far. Paulo Gazzaniga will be taking up the goalkeeper's position in place of regular custodian and club captain Hugo Lloris who will most probably be rested. Also rested will be central defenders Jan Vertonghen and Toby Alderweireld. The loss of star man Harry Kane will mean that Fernando Llorente, who conceded an own goal against Fulham, will play as the lone striker. Pochettino may or may not play Lucas Moura in the starting XI and weigh up his midfield options with youngsters Olivier Skipp and Winks. Attackers: Alexander Sorloth, Jordan Ayew, Andros Townsend.